The PRO-MASTER HOME INSPECTION Team is the professional leader in home inspection. We separate ourselves from other home inspectors, as we will come to your property with a team of qualified inspectors and complete your inspection in half the time. Trust the leading home inspection company in the USA. The inspector will do a thorough house inspection as well as, a full introduction to your new home, both verbal and written. 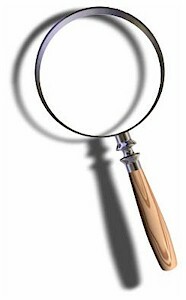 Quality Home Inspection spends two and one half to three hours inspecting a home (depending on size and complexity). The inspection covers everything from the ground the foundation sits on to the highest ridge cap. If you need termites, pest control or a random inspection, our inspector can schedule that inspection for you. With PRO-MASTER HOME INSPECTION TEAM " One call Does It All"! Unprotected wires on outside of older heat pump (North side). recommend protecting wires with appropriate covering to avoid weathering, rubbing, or cutting of individual wire coating which would result in exposed live wiring, fire, etc...! With more than 100,000 species in the world, it is no wonder molds can be found everywhere. Neither animal or plant, molds are microscopic organisms that produce enzymes to digest organic matter and spores to reproduce. These organisms are part of the fungi kingdom, a realm shared with mushrooms, yeast, and mildews. In nature, mold plays a key role in the decomposition of leaves, wood, and other plant debris. Without mold, we would find ourselves wading neck-deep in dead plant matter. And we wouldn't have great foods and medicines, such as cheese and penicillin. However, problems arise when mold starts digesting organic materials we don't want them to, like our homes.